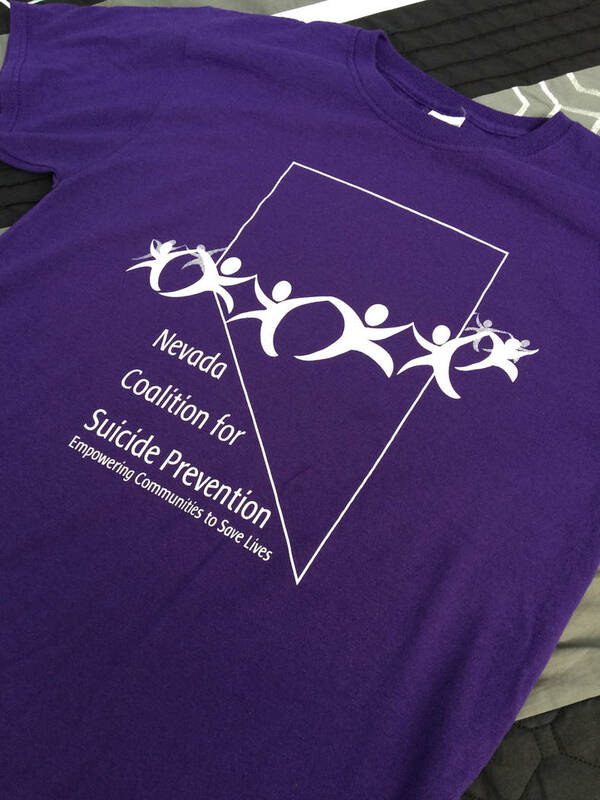 Editor’s Note: This is the third and final installment in a series on suicide prevention and awareness efforts in Nye County. Special to the Pahrump Valley Times A Walk In Memory, Walk For Hope attendee holds several balloons in readiness for the balloon release, a traditional part of the annual suicide prevention and awareness community walk. Special to the Pahrump Valley Times Balloons drift serenely skyward, carrying the love and thoughts of those who have lost loved ones to suicide. Robin Hebrock/Pahrump Valley Times The iconic purple color of the Walk In Memory, Walk For Hope event T-shirt has a special meaning, linked to the effort to raise awareness about suicide. Robin Hebrock/Pahrump Valley Times The logo for the Walk In Memory, Walk For Hope, an annual gathering aimed at suicide prevention and awareness. Robin Hebrock/Pahrump Valley Times Purple and teal were worn by many an attendee of the 2018 Walk In Memory, Walk For Hope event, hosted September 15 at Petrack Park. Others wore specially made T-shirts to honor those they lost. Robin Hebrock/Pahrump Valley Times Participants in the suicide prevention and awareness walk circled the grass at Petrack Park together, giving them a chance to connect with one another. 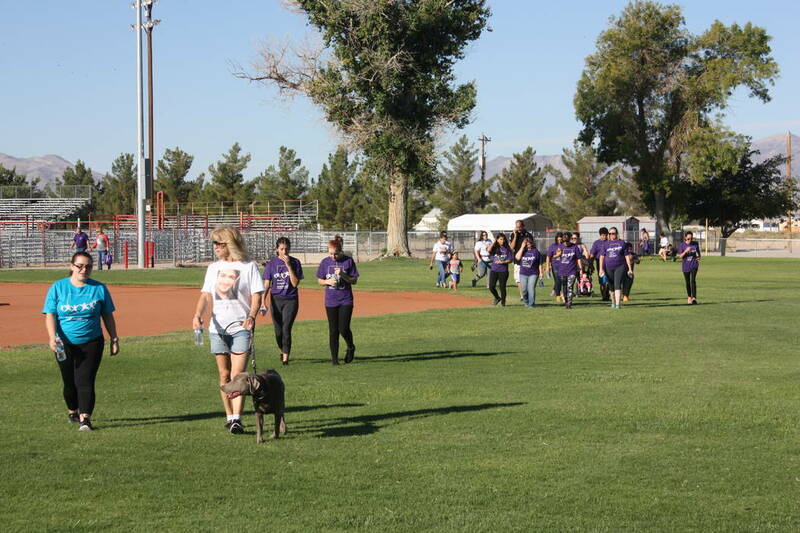 Robin Hebrock/Pahrump Valley Times Pahrump area residents from all walks of life and all types of backgrounds joined together for the annual community walk, the mission of which is suicide awareness. 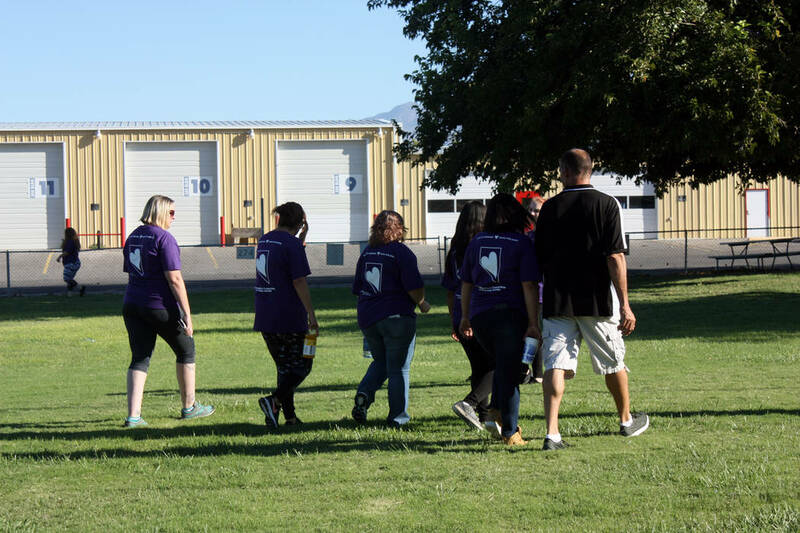 To cap off National Suicide Prevention Week, which took place this past month, the Nevada Coalition for Suicide Prevention hosted its 12th Annual Walk In Memory, Walk For Hope event in communities across the Silver State. A total of 13 towns and cities took part in the prevention and awareness event, coming together to remember those who have been lost to suicide and foster an openness that is geared toward helping stem the statistics. 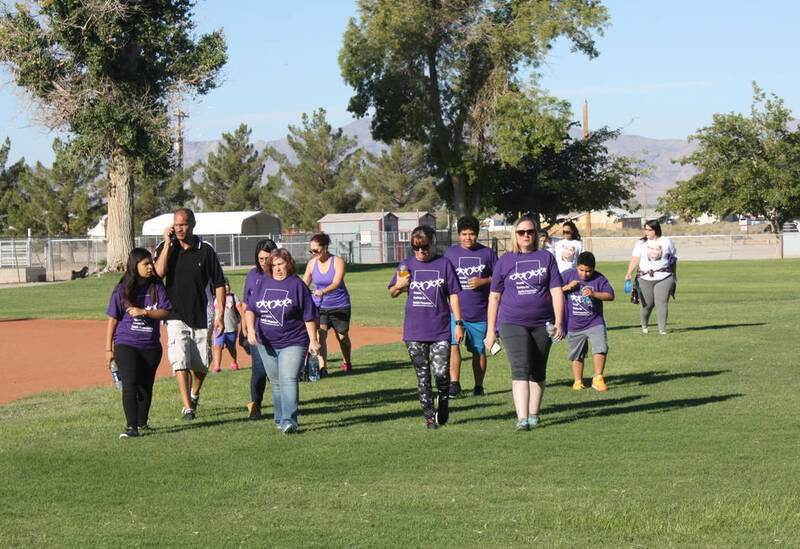 In Pahrump, the NyE Communities Coalition and its Safe Schools, Healthy Students division partnered with the Nevada Office of Suicide Prevention and the Nevada Coalition for Suicide Prevention to bring the community walk to the valley. Event organizers reported a successful outcome, detailing that the Walk in Memory, Walk For Hope drew even more participants than it did last year. 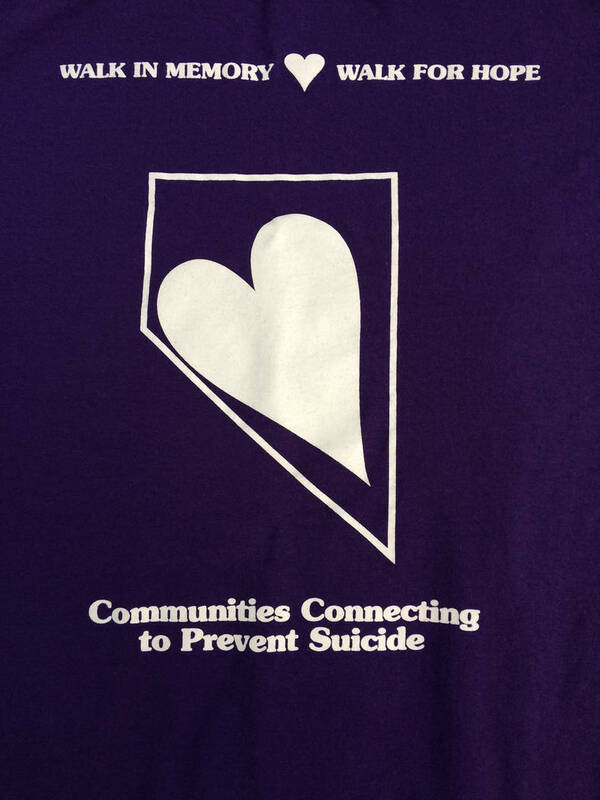 The mission statement of the Nevada Coalition for Suicide Prevention is, “Connecting people and communities to help and hope – suicide prevention is everyone’s business.” With a vision to ensure all Nevadans feel hopeful and connected to the resources they need, events such as Walk In Memory, Walk For Hope are crucial. They help to eliminate the taboo surrounding the topic of suicide and encourage open, honest, direct discourse about the subject, in turn helping to raise awareness that suicide is absolutely preventable. The Walk In Memory, Walk For Hope is just one of the many methods being actively pursued to increase the willingness to discuss suicide. Other endeavors include a wide variety of training courses such as Safe Talk and mental health first aid courses, the Signs of Suicide program that has been implemented at the middle school and high school level and an array of organizations specifically dedicated to suicide prevention and awareness. “We have taken many steps in being proactive across Nevada, and continuing this conversation is one of the most beneficial things we can do,” Lewis stated. The Suicide Prevention Lifeline is perhaps one of the most valuable resources available for those struggling with thoughts of suicide. The lifeline utilizes a host of crisis centers around the U.S. to provide free, confidential support for those in distress, 24 hours a day, seven days a week. Anyone dealing with suicidal thoughts or actions themselves or who knows of someone who is, is encouraged to seek help by calling the lifeline at 1-800-273-TALK (8255).